The production “secrets” and the vinification method of this cuvée go back to the origins of the House of BILLECARTSALMON and have been handed down for seven generations. The Brut Rosé is a blend of Chardonnay, Pinot Meunier and Pinot Noir vinified as white wine with a small percentage of Pinot Noir vinified as red wine. Its pale pink colour is adorned with warm glints of gold, and its delicate, slowly rising bubbles give it a persistent mousse. This cuvée unveils a subtle aroma leading to an elegant, delicate bouquet of fine notes of red fruits. Its special method of vinification gives this cuvée a light, elegant attack, followed by a fresh finish. This rosé champagne is an ideal partner to an aperitif, but can also accompany a dish of wild salmon or sushi. For dessert, it will add a sublime touch to red fruit flavours. 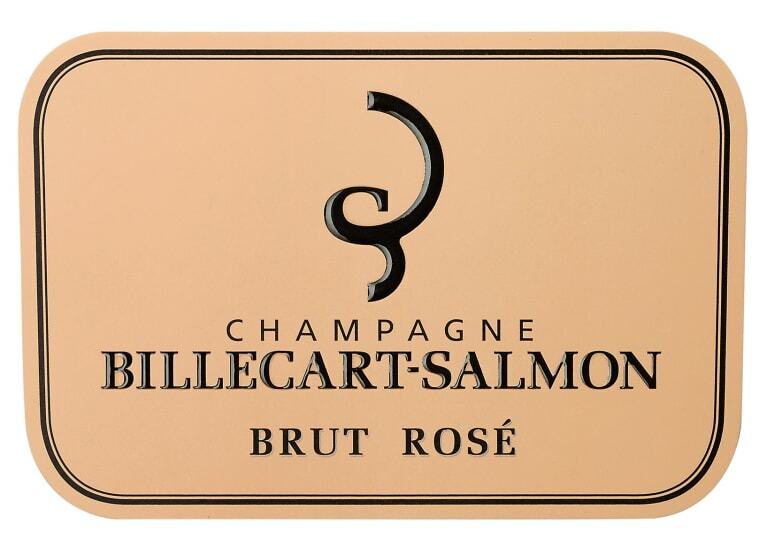 Champagne Billecart-Salmon was founded in 1818, with the marriage of Nicholas Francois Billecart and Elisabeth Salmon, and is run today by their descendent, Francois Rolland-Billecart. The firm owns 74 acres of its own vines, and buys in grapes from another 346 acres as well. Ninety percent of the fruit comes from within a 20-mile radius of Epernay, with some 35 crus contributing. Several cuvées are made: NV Brut Réserve (Chardonnay, Pinot Meunier and Pinot Noir, the blend having remained unchanged since 1945); NV Brut Rosé (Chardonnay, Pinot Meunier and Pinot Noir, with a small amount of the latter vinified as red wine); NV Brut Blanc de Blancs (100% Chardonnay blended from two different years and sourced from five Cote de Blancs crus: Avize, Chouilly, Cramant, Mesnil-sur-Oger and Oger); NV Demi-Sec (the same wine as the NV Brut Reserve, but with a higher dosage); Vintage Cuvée Nicholas Francois Billecart (first made in 1964, this is a blend of Chardonnay grands crus from the Cote des Blancs and Pinot Noir grands crus from the Montagne de Reims); Vintage Cuvee Elizabeth Salmon Rosé (first made in 1988, this is a 50/50 blend of Chardonnay and Pinot Noir vinified as white wine to which has been added a small amount of Mareuil-sur-Ay Pinot Noir vinified as red); Vintage Grande Cuvée (first made in 1982, this blend of Chardonnay and Pinot Noir from select grands crus sites is aged 10 years in the Billecart cellars).